Premier League Results: Score, Match Analysis and Highlights from the Fixture between Aston Villa vs Queens Park Rangers on Saturday, March 16, 2013. Includes Video Highlights for U.S. viewers (as available). 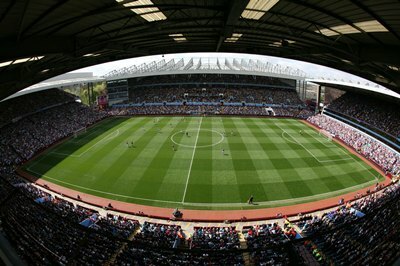 A late goal helped Aston Villa go into the half time break level at 1 – 1 despite QPR dominating the game to that point. The second half showed just how much both teams were desperate for a win. In the end Aston Villa pushed themselves to the limit to get the win. QPR had 21 shots with 7 on target for their 2 goals compared to Aston Villa’s 12 shots, 6 on target and 3 goals. The win for Aston Villa means that the relegation battle is even closer. Aston Villa moves up into 17th, 6 points above Wigan who have 2 matches in hand including one they play tomorrow. QPR remain bottom of the league with 23 points and are level with Reading who play Manchester United in the late Saturday match. The question is, who has the desire to push on and get the wins needed to stay up?